The insurance industry is in the midst of a customer-led revolution, sparked by the efficient, compelling experiences that customers are now used to in other areas of the digital economy. Insurer legacy systems have tended to rely on slow manual workarounds to move data from one process to another, leading also to the formation of “data silos”. By contrast, digital process platforms use a central data repository to feed a much more efficient, automated set of data processes. That makes it more efficient when introducing new online services that let a customer do things quickly such as applying for a policy, checking what they are covered for, and making a claim. Integrating front- and back-office processes also helps the insurer make each part of the customer journey that bit easier. For example, insurers can now leverage internal data and external big data to reduce and even abolish form filling in the sales process. The service-oriented architecture of the leading digital process platforms means they can integrate with, and consume data and services from other systems and applications. Insurers can now stop trying to be “masters of all trades” and speed up innovation via partnerships, for example, with experts in artificial intelligence (AI). Furthermore, on a legacy system, making changes to insurance products and processes often involves laborious hard coding. By contrast, modern digital process platforms allow business users to rapidly reconfigure products, e.g. in terms of price or coverage, without calling in the IT team. Digital process platforms also allow insurers to assemble new products and processes using pre-built and reusable components. That means that insurers can rapidly test and release products to take advantage of market opportunities. It also means insurers can upgrade their innovation culture. For example, newly emerging business cases can be trialled quickly and easily, matching the “fail fast” philosophy of incumbents’ insurtech rivals. Digital process platforms are enabling a deeper understanding of customers and more compelling and personalized insurance propositions. Ageing, patched-up legacy systems stored disparate pieces of customer information in different locations. That made it tough for insurers to tap into the data that should inform product, underwriting, and marketing functions across the value chain. Legacy systems could never have coped with the exploding volume of data generated by mobile self-service, telematics, wearables and home tech. By contrast, cloud-ready digital process platforms bring with them single views of the customer and future proofed data-integration capabilities that are designed to absorb the data deluge with ease. This lays the foundation for greater product personalization and pricing that captures the risk of each individual. For example, it helps insurers offer cheaper, tailored deals for individuals who are demonstrably safer drivers (from telematics data), demonstrably healthier (from health and lifestyle wearables data), or less vulnerable to crime (thanks to their connected homes). By linking insurers to both consumer devices and powerful cloud-based AI services, the new platforms give insurers membership of the broader digital ecosystems forming, for example, around the connected car and the connected home. The exact role that insurers might play in these ecosystems is still emerging. But digital ecosystems will support a more proactive role for insurers in the reduction of physical risk, for example, through securing better health outcomes for healthcare customers via lifestyle programs and prophylactic medical devices. Insurers may need to choose whether they want to be the main orchestrators of these digital ecosystems or simply suppliers to them. But even those who stick to supplying traditional financial indemnification will need to be connected to the ecosystem in order to respond to customers in real time and to take advantage of the data the ecosystem generates. Whatever the future holds, insurers need to shift away from being low-involvement, low-interaction, product-centric businesses. Through their key capabilities, digital process platforms are supporting this business transformation and a customer-led revolution that is rapidly unfolding. 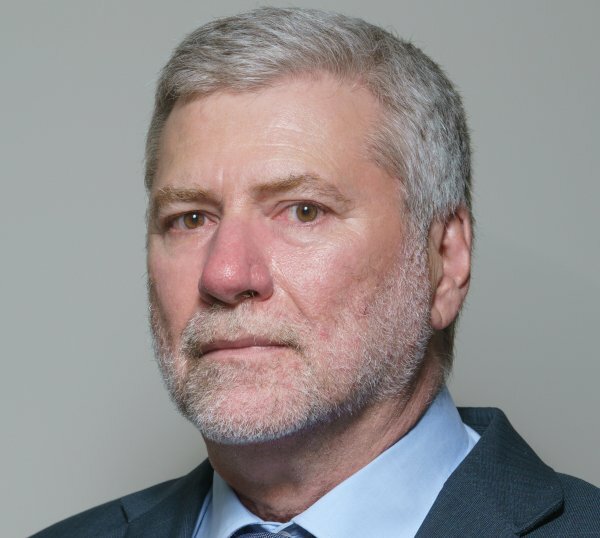 A seasoned professional with over 30 years of industry expertise, Boyko is a true guru in the field of automation of the insurance business, also known as ‘digitalization’. Throughout his extensive career, Boyko has been involved in over 500 customer meetings, over 50 POCs, and countless demos across four continents. He is familiar with every corner of the insurance business and technology to him is like a second language.